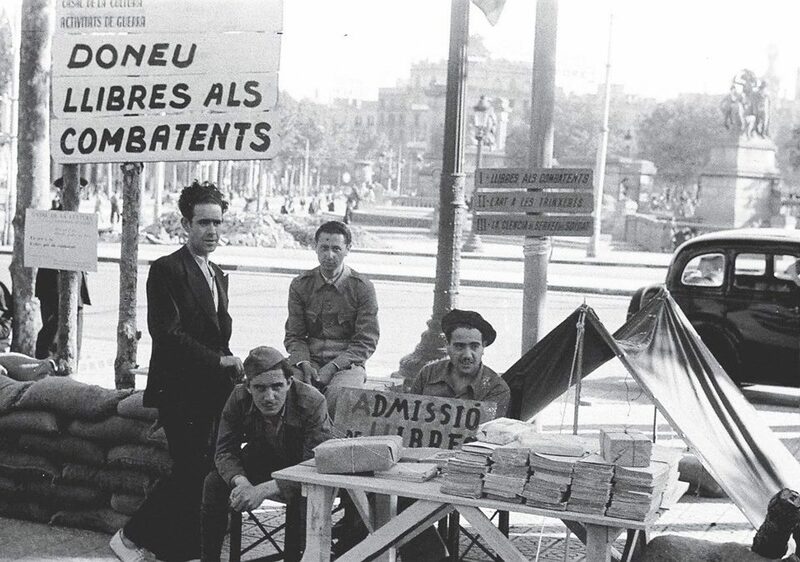 The sign in the photo taken in Barcelona in 1938 reads “give books to fighters”. The campaign collected reading material for anti-Fascist volunteers in the Spanish Civil War. This entry was posted in Books, Europe, History and tagged Barcelona, Catalunya, Homage to Catalonia, Spain. Bookmark the permalink. Great piece of history. Where did you find this photo?